Practices that missed the application deadline for the Comprehensive Primary Care Plus (CPC+) program(innovation.cms.gov) will have another opportunity to apply next year. The Centers for Medicare & Medicaid Services (CMS) recently announced it was reopening CPC+ applications for both payers and practices. Delays in the initial payer application process this summer shrunk the two-month practice application window by two weeks. Many practices felt this was not sufficient time to evaluate the program and determine if the added payment associated with CPC+ would support the amount of work necessary to comply with the program. 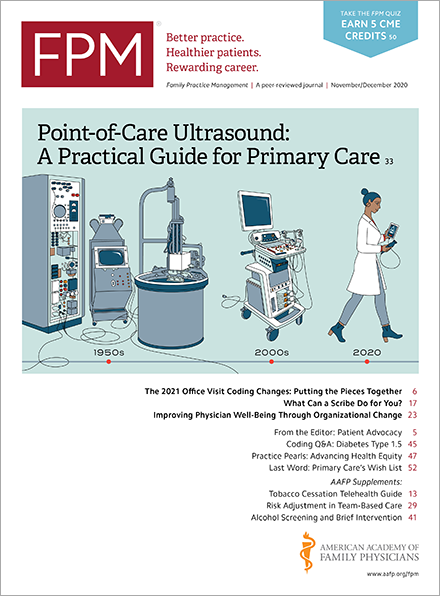 In addition, at that time only one region in the original Comprehensive Primary Care initiative had achieved shared savings, which led some to believe it was not a successful program. On Oct. 17, CMS announced that four of the seven participating regions experienced net savings for 2015, the program’s second performance year. The CPC+ program is one of the payment models recognized as an Advanced Alternative Payment Model (APM) in the final rule of the Quality Payment Program (QPP)(qpp.cms.gov), part of the Medicare Access and CHIP Reauthorization Act. Participation in an Advanced APM offers physicians the opportunity to receive a 5 percent bonus payment. CMS has not yet provided additional details on next year’s reopening of the CPC+ application process. In the meantime, you can learn more about the CPC+ application requirements by reviewing the original Request for Applications(innovation.cms.gov).